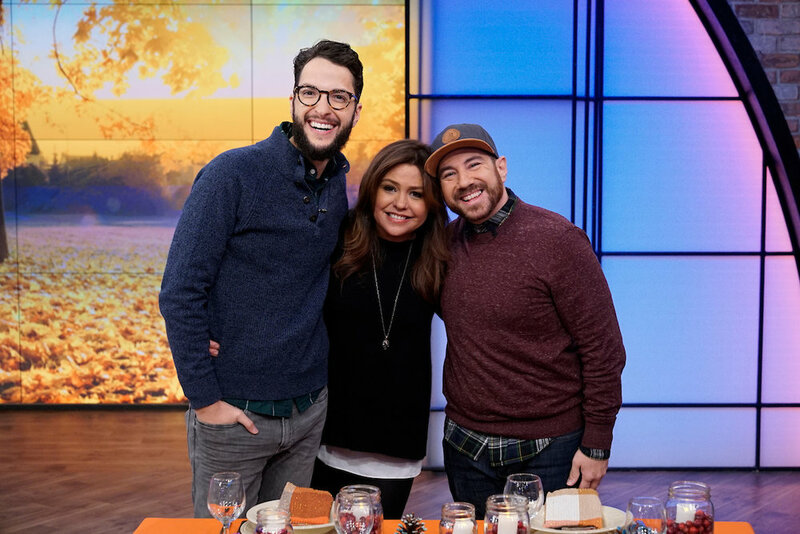 We had the chance to go on Rachael Ray today and teach her some easy make ahead Thanksgiving crafts. One of our more difficult crafts was a magnolia wreath using the backs of the leaves. They can be a bit of work, but they are gorgeous and and transition well from Thanksgiving to the holidays. Not only that they last for years! On Rachael we made the wreath using fresh magnolia leaves and floral wire. 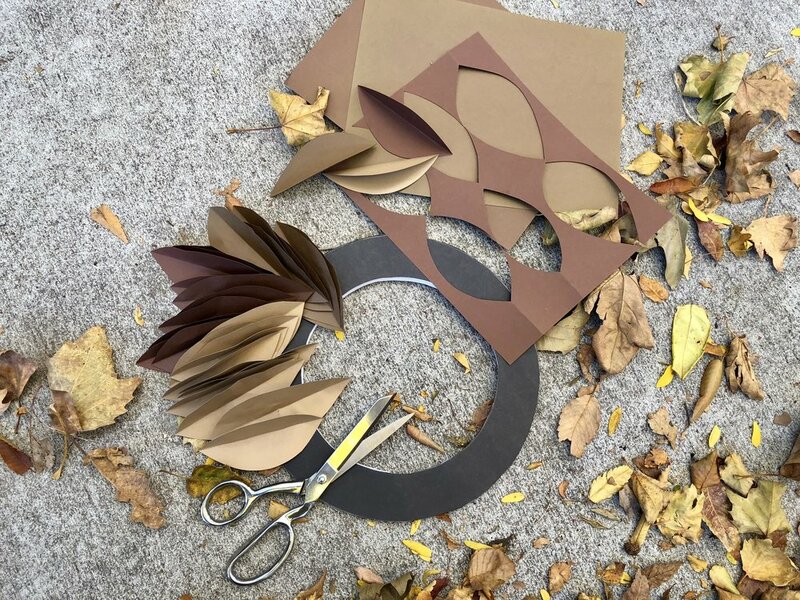 If you live in an area, like us, where magnolia leaves are hard to find-you can make the leaves out of cardstock. To make the cardstock leaves fold a piece of cardstock into thirds and cut out almond shaped halves along the fold. Unfold the leaves and lightly wrinkle and manipulate the paper to give it some texture. Any wreath ring will work for this project or you can even make out of foam board like we did! Creating the wreath is same process if you’re using real leaves or the paper ones. The only difference is instead of wrapping wire around each stem (like we did on the show with real leaves) use a dab of hot glue on the back tip to attach each paper leaf to the wreath ring. Start in one spot and continue to go in the same direction, layering the leaves slightly on top of each other. 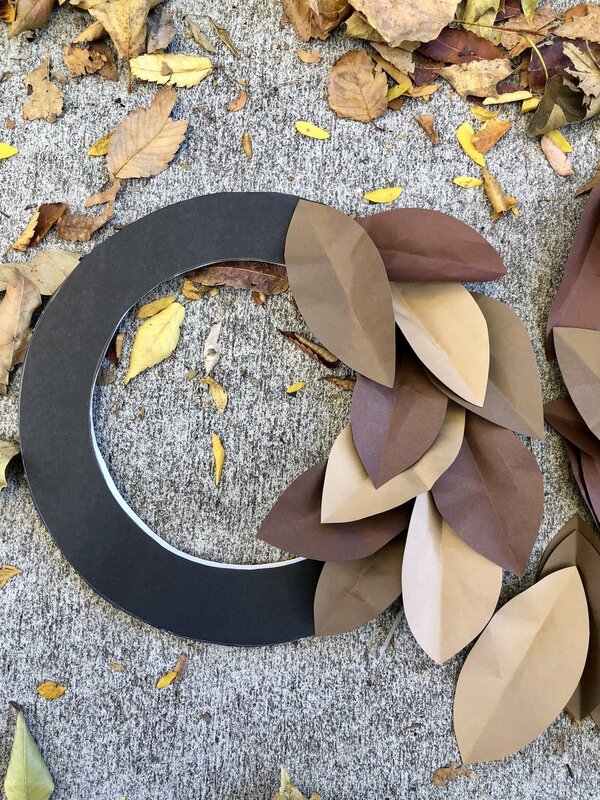 When you get to the end, tuck the leaves in for a completed circle. It’s unbeLEAFable how easy it is!